The house of Scrum is a warm house. It’s a house where people are W E L C O M E.
In the house of Scrum people from different backgrounds, in different roles, with different skills, talents and personalities work, learn and improve together. The house of Scrum is an inclusive house of warm, open and collaborative relationships. The house of Scrum knows no ‘versus’. Barriers are removed, instead of being maintained or created. There’s no business versus IT in the house of Scrum, no team versus the world, no Product Owner versus Development Team, no coding versus supporting, no testers versus programmers, no ‘my’ team versus ‘your’ team, no Scrum Master versus the organization. The house of Scrum offers an open view on the world. The house of Scrum is a great and energizing place where product development endeavors prosper from the combined, creative intelligence of self-organizing people. The house of Scrum helps to stay away from rigid behavior and rigid structures. The inhabitants of the house of Scrum, their teams and the ecosystems in which they operate show flexibility to better deal with uncertainty, internal tensions within and external pressure on the ecosystem. They probe, sense and adapt at all levels; at strategic and tactical levels, from requirements to plans to objectives to markets to technology. Scrum is an enabler for delivering products better and faster. But, most of all, energy and work pleasure are restored for all of the involved players in the house of Scrum; from those who create the products, to those who have a stakeholder interest in the product, to those who consume the product and its services, to all who co-create it with opinions, feedback and appreciation. The workplace is humanized through Scrum. 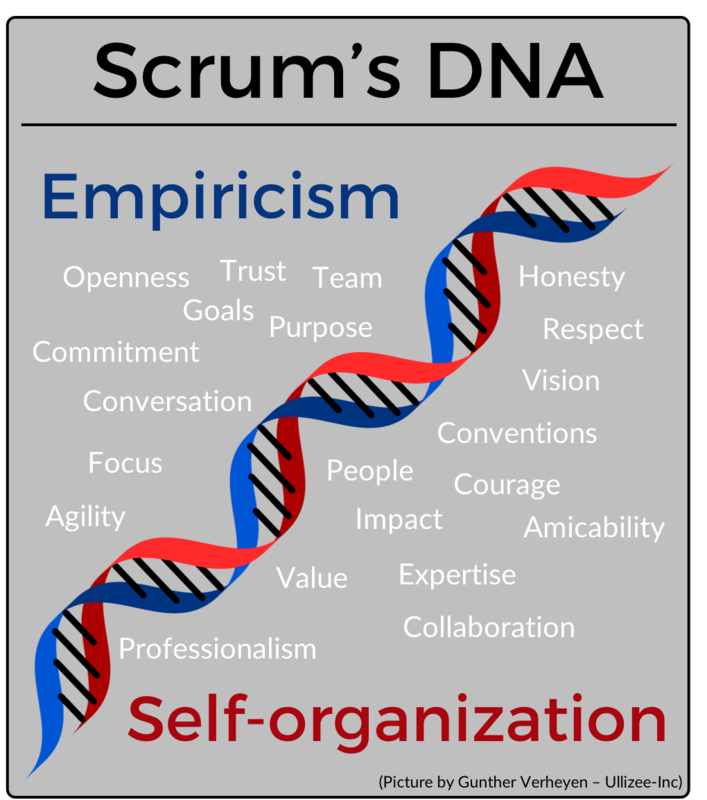 Above is an excerpt from the upcoming 2018 revision of “Scrum – A Pocket Guide”. 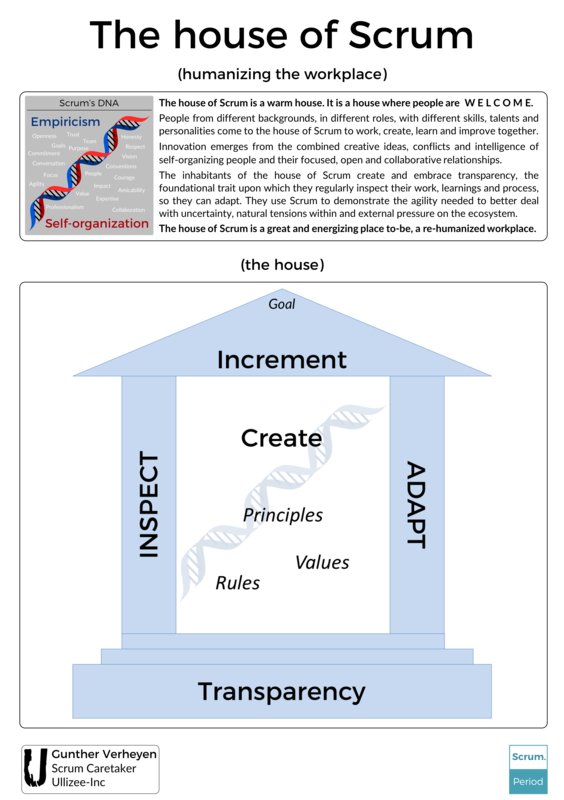 A poster of the house of Scrum Values is now available as a free download (PNG): The house of Scrum (Poster).